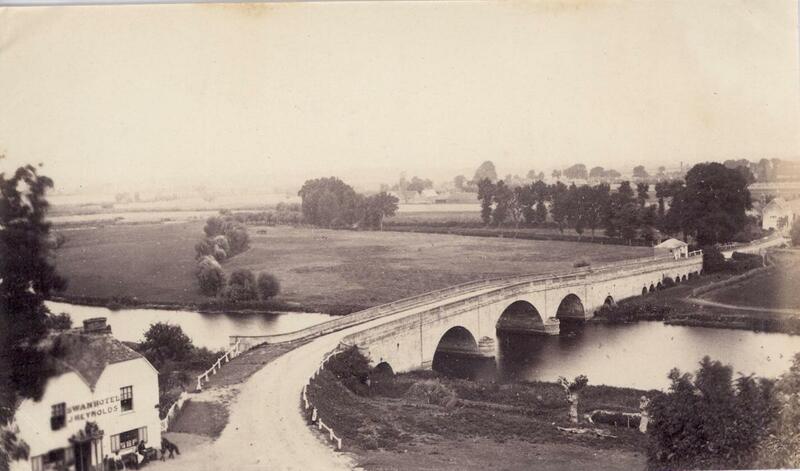 'Shillingford Bridge' - Sepia photograph of the River Thames at Shillingford Bridge. The Swan Hotel (now the Shillingford Bridge Hotel) is in the lower left corner. Photographed by Henry Taunt c1870.